This was a commissioned as a gift for InuGrrrl of her fanfic "Love Like Winter" by InuGrrrl . This design is not available for commission. 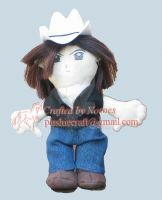 If you want one of her, you must contact InuGrrrl and have her contact me with her permission to craft a plushie of her for you. Thank you! 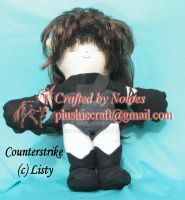 It was one of my "fancier" dressed plushies Have you checked out the Kagome that goes with him? She's pretty cute too. 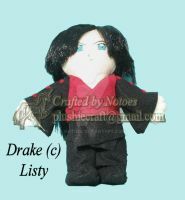 And all my designs are on my site www.plushiecraft.net too. Kewl, I'll check it out!!!!! 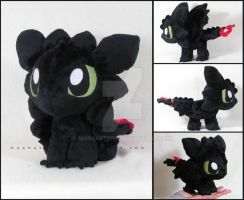 I ABSOLUTELY LOVE THIS DOLL! I usually wrap them in plastic to keep them dust-free and so on, but I can't bring myself to take him off my desk! Many thanks to both Lina and you for such a gorgeous collaboration. I'm flippin' GAGA over his stock tie!